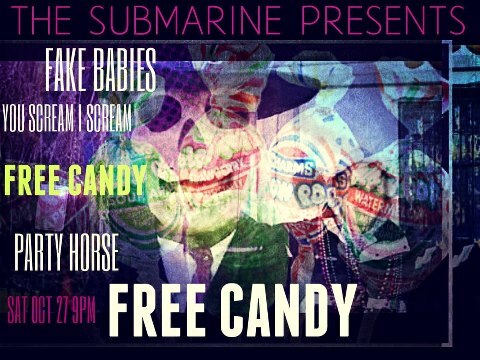 Fake Babies are having their final Submarine halloween show this Saturday 10/27, with the help of Party Horse and You Scream I Scream. Come help us and yourselves celebrate the Last Halloween Show at The Submarine. We have not had a halloween show in over 2 yrs. This is gonna be end of the world type ish, but still a classy affair. Costumes encouraged not required. Wine or Gin or Beer might be readily available. You Scream I Scream (Nantucket/NYC/Connecticut) is at its core a three-piece band with distorted bass guitar and vocals (Floyd Kellogg), Rhodes and synth (Jake Vohs), along with floor tom-driven drums and big cymbals (Audrey Sterk). 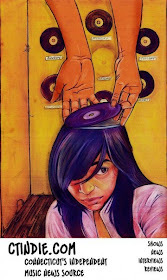 The music’s unique fingerprint is part Talking Heads in its beats and the lyrics’ sometimes dark playfulness, and Floyd’s vocal stylings—baritone singing and yelling contrasted with “bitchy girl” backing vocals—and stripped-down instrumentation can be reminiscent of Morphine or Soul Coughing. Bug in a Light, the band’s debut album, led to opportunities such as performances at Hip Video's CMJ Showcase at Maxwell's in Hoboken and WBRU's annual rock showcase at Lupo's Heartbreak Hotel in Providence, along with several catchy music videos shot by Brendan "Spookie" Daly in Hartford, Conn., and on Nantucket, landing spots on MuchMusic’s "The Wedge,” MTV, New York Noise and Billboard.com. YSIS will soon release their second record, which was recorded in Hartford and mixed in St. Louis by Floyd with fellow producer Carl Nappa. 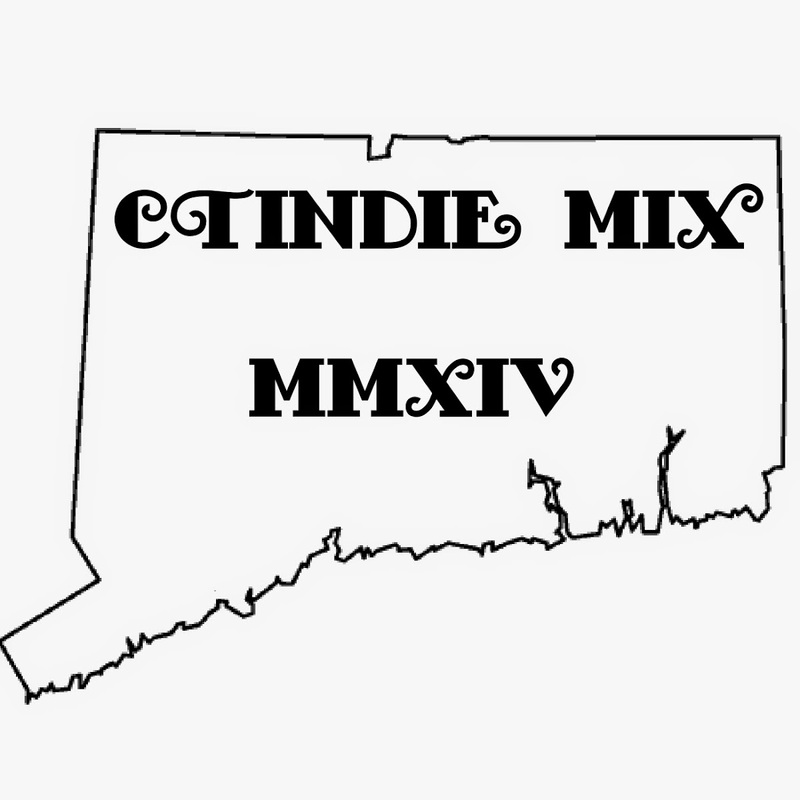 When not busy designing and painting murals everywhere and recording/producing fellow bands (such as NYC's Steel Phantoms and The Sweet Ones) at their studio in Connecticut, You Scream I Scream plays high-energy, loud, electro-grunge shows around New England and New York.